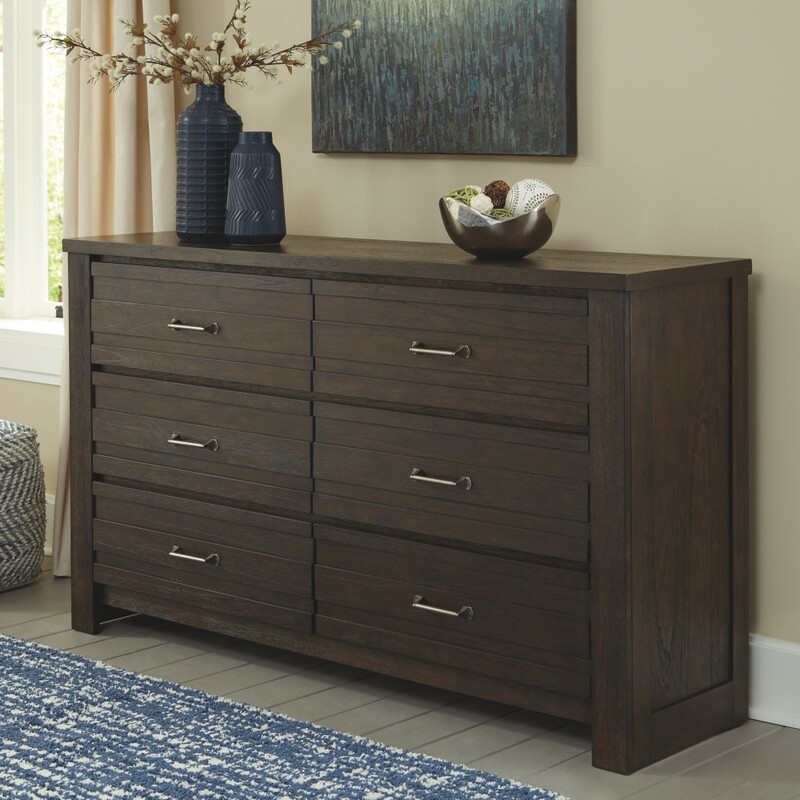 Described by the designer as an “inspired take on casual contemporary,” this dresser commingles clean-lined minimalism with a highly complex oak-tone finish for a sense of heirloom charm. 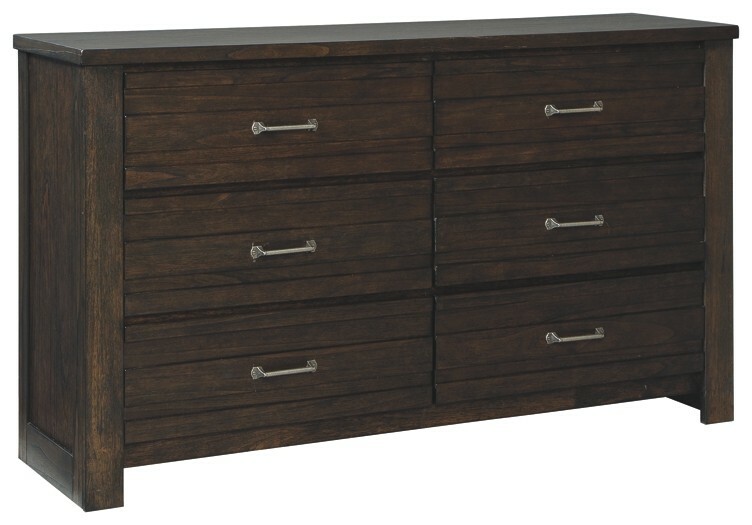 Unique elements include drawer fronts with raised overlays for a hint of dimension, punctuated with simply striking sculptural pulls. 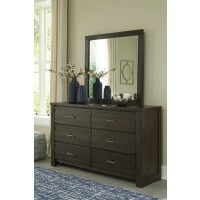 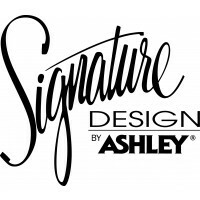 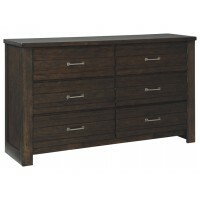 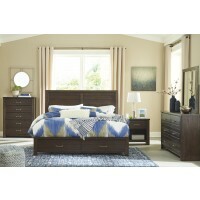 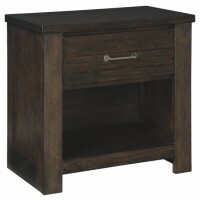 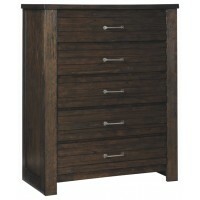 Six smooth-gliding drawers, crafted with quality dovetail construction, accommodate your wardrobe with ease.